Do you have any idea of what you want to do in your life? 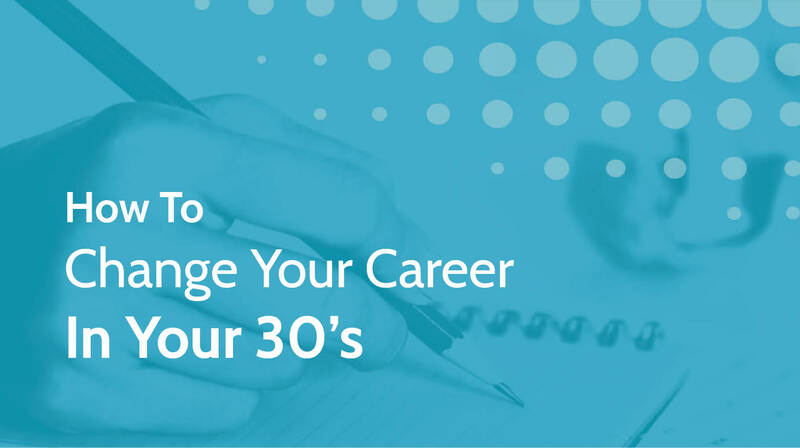 Let’s change your career in your 30’s. How many of you feel like you are stuck in a rut with no way out? How many of you want a change but don’t know where to start? How do I figure out what I want? What is my passion? What is my purpose? I was there too. Not long ago. Having a midlife crisis? Maybe. Stuck at my unfulfilling job I didn’t see the light at the end of the tunnel. The more time slipped through my fingers, the worse I felt disappointed with my life choices. At the age of 32, I quit the financial world and promised myself I would never go back to it. It took me 2 years to figure out what I want to do in my life. However, I finally feel like I have found my purpose. In this article, I hope to give you some insights and highlight learning from this experience. I worked in corporate banking for almost 10 years. When I started it was very easy to be hired in that industry. The economy was good and there were more vacancies available than people to fill them. Easy way in, harder to get out. Over the years I found myself living and working in a so-called “financial bubble”. The majority of my friends worked in similar companies. None of us liked what we were doing but nobody was doing anything to change it. I found myself complaining all the time, feeling unhappy and miserable…but the job paid the bills and let me live very comfortably. My mind was filled with excuses. Unfortunately, at that time I was unable to recognise what was holding me back. At the point of total misery, I decided to change the country I was living in. I thought this was going to be the solution to all my problems. I started a new job but still in financial sector. What changed though was my circle of friends. I started going out and interacting with people who were genuinely loving what they were doing. Designers, creatives, business owners, they all were so passionate about their lives. This is what I was missing. I finally realised there is more to life than living for the weekends. I saved a sum of money and quit the job…and never looked back. When I quit my job, I had no idea what I wanted to do, not even slightly. Worse I didn’t even know where to start. I felt so lost in my life. I started doing countless personality tests trying to find out who I was. None of them helped. I read motivational books and again I felt that nothing was getting through to me. I sat endlessly in the front of my computer researching on how to change a career and hoping to find an answer. I had put all my efforts to analyse who I was that I forgot about one fundamental thing: stop thinking and start doing. But how do you start doing something if you don’t know what it is? You start anything. Things you would normally call stupid. Things your ego tells you not to do. You need to become truly open-minded. How did I change my career? I have partnered with my boyfriend, an Interior Architect for a year and helped him with his freelance business. I started learning how to visualise interiors. I made furniture. I even emailed a few people about dog walking as I was always an animals lover. From finance to dog walking? Would your ego approve this? Finally, I started to learn Spanish and I really enjoyed it. Soon I became a voluntary translator, and this is where it all began! From translation I moved to content marketing, then SEO and Paid Search. Eventually, I enrolled in a Performance Marketing School that gave me the solid foundations to kick off my new career in Digital Marketing. If you are out there analysing and looking for answers, please stop right now and start acting. Finding what you want to do in your life will never be a lightbulb moment. You need to act! The hardest part for me was not necessarily to start doing something but rather conquering the fears and obstacles my mind was creating. In the beginning, I was declining almost all the ideas that came to my head. I would always find an excuse as to why I can’t do something. I don’t have any experience, I am not creative enough, this is not my personality and many more. It took me a while to understand that the fears created excuses, and this is what was holding me back. Facing my fears made me more confident and opened many doors for me. Don’t let your mind to play with you. Learn to recognise your excuses and don’t let them limit yourself! This should become your everyday bread. Never let a day pass without learning at least one new thing. I can’t stress it enough. We live in such fortunate times where you can learn almost everything from the internet. You can choose from so many online courses. This is how I learnt to code and eventually build my personal website: www.youmedigital.com Be hungry for more and feed your brain with the good stuff! There is so much more I learnt from the whole experience. I could write for hours! I am very grateful for all the ups and downs I have had over the past couple of years. I learnt so much about myself! Face your fears, get rid of excuses and start acting with an open mind. Don’t let anybody’s belief system shadow your decisions. What is your experience or thoughts on this? Are you in the process of changing your career or maybe have done it already? If you need a boost for your budding digital marketing career, check out our website and join us today. DigitalGrads provide free digital marketing training to all eligible recent graduates.